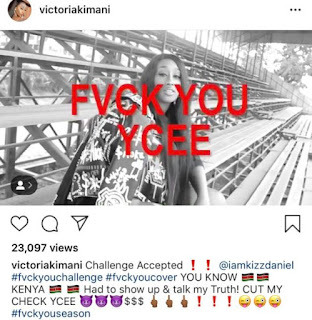 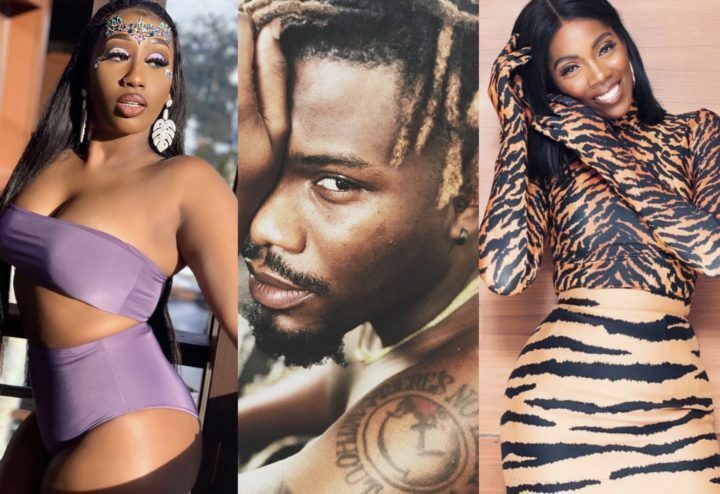 Victoria Kimani who turned on the mic for the viral 'Fvck You Challenge', slammed Ycee and Tiwa Savage over some past incidents she recounted.The Kenyan singer who slammed Ycee, accused him of stealing lyrics and giving no credit and further told him to run her check. She also accused Tiwa Savage of "selling pu*sy" and blocking her from a show. Victoria Kimani sang "Grandma African bad gyal,turning 45 and still claiming bad girl.You can block me from a show but you can’t block my blessings.We all know you selling pu*ssy and it’s so depressing".